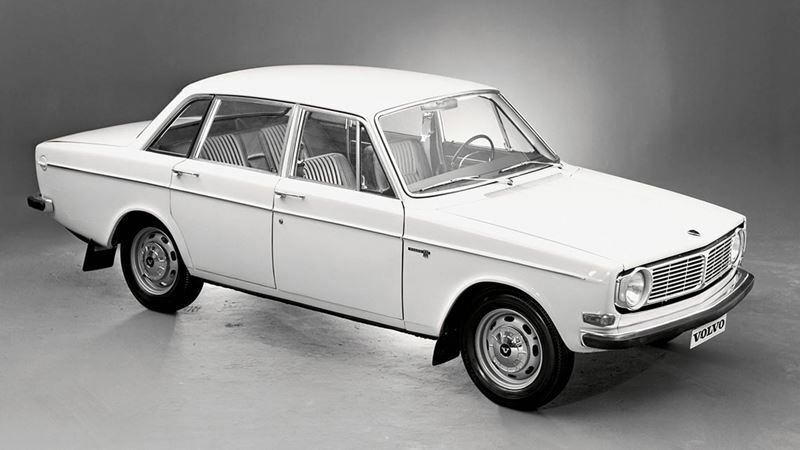 In August 1966, Volvo presented a new 4-door car called the Volvo 144. It represented the start of an entirely new car series which, until the mid-1970s, accounted for Volvo's volume models. The styling of the 144 was truly timeless and this is confirmed by the fact that the car in developed form was still being sold successfully in the mid-1980s. The characteristic features of this car included the large areas of glass and three side windows. The 144 was a very spacious car with a large luggage compartment. The Volvo 144 also included many new safety features. In addition to the body with its energy-absorbing zones front and rear, there was a unique braking system in which both braking circuits comprised three wheels. Disc brakes were also used on all four wheels. The interior had no protruding parts and there were safety belts for the driver and front-seat passenger. Overall length 464 cm/182.7", wheelbase 260 cm/102"